Houses have changed immensely over the last hundred years. 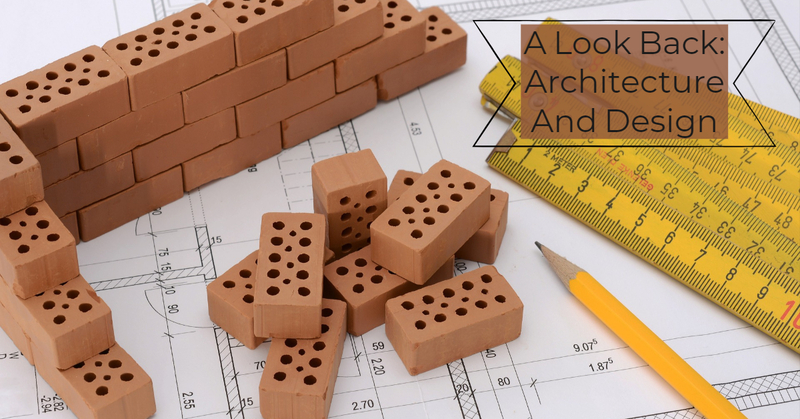 Due to variations in style, additions of indoor plumbing, heating and cooling systems, and construction materials, many different factors have played a role in the preparation of the homes we have sold and lived in. The structure of our homes affects our family size, our relationships, and ultimately, the way we all relate to each other as we step outside to begin our day. Let's take a look at how American homes over the last century have helped shape us historically as a country and as a society. The first North American homes were small one-room homes built to stand the harsh conditions of an unsettled territory. Local materials were used, and structures were generally no more than 450 square feet of living space. As homes evolved through the middle of the 18th century, they were enlarged and remodeled to allow for social gatherings and larger families, with well to do families adding spaces such as parlors and great rooms for entertaining. Across the South, plantation farms sported luxurious mansions, with many homes expanding to well over 2000 square feet. The great wealth of southern farmers and their egotistical need to compete with nearby neighbors had them all scrambling to create estates that were the most opulent in their area. These homes were designed to withstand excessively hot temperatures and allow for cool places to enjoy mint juleps on the back porch. As the destiny of the southern plantation farmer unfolded, many found that they could not keep up with maintenance after losing their labor force, so the need to downsize living conditions necessitated yet another change in the architecture of American design. Due to industrial and technological advances and the changing economy, the landscape of America changed in the 19th century. Cities were popping up everywhere, and people looking to move to urban areas found themselves in an entirely different type of home. Small, single row houses popped up everywhere, and virtually all of them had parlors for receiving and entertaining guests and business associates. Urban row houses were approximately 20 feet wide, extending back as far as 40 feet to allow for family expansion and adequate living space. With rapid growth taking place in most cities at this time, the size of homes changing real estate and became narrower in width and deeper in depth. During this period of time, homes became largely compartmentalized, with certain rooms being public and others for private family use. The bedroom was a recent innovation; before this period of time, beds were contained throughout one or two room homes, and they served as pieces of furniture to sit on when not in use for sleeping. After the turn of the century, lot sizes grew larger, with many one-story bungalows weighing in between 600 and 800 square feet of living space. First prototypes of 20th-century homes were scaled down to accommodate the increased cost of heating ductwork, plumbing and electrical innovations. Sadly, another reason that these homes were reduced in size was that there was a shift in the average American home from production to consumerism. There simply wasn't a need for as much storage space, as people became reliant on commercial goods like canned fruit, vegetables, and other things that were being mass produced. The addition of plumbing and electrical wire changed the floorplan of the average American home. This affected the social structure of families in these homes as well, as there wasn't a need to keep company for warmth or adequate lighting. People became more isolated and private during this time as their living conditions continued to advance. Suburban life began when crime rates and urban decay became too much for some people to bear. People spread to rural regions once more, and developments started popping up everywhere. The concept of home ownership was very popular in the 50's, and people flocked to Suburbia to begin a slower way of life. Because land was more abundant, larger houses were built. Interestingly enough, in this time when houses were larger and more spacious, families were getting smaller, which created more privacy. In the last fifty years, there has been more change in the design and architecture of the single-family home than ever before. Single room dwellings have become multi-room homes, refined surroundings have replaced crude building materials, and architects are now able to envision the most creative of concepts when designing the place where we spend cherished time with family and friends. How we now choose to use our home space is dramatically different than it has been in years past, and as we change our homes to accommodate our needs and desires, these spaces change us as well. Over the course of the last fifty years alone, the size of American homes has changed dramatically, growing from 1500 square feet to over 2000 square feet and swelling still. We contact our real estate agent in hopes of finding the perfect space that is bigger, better, and more fantastic than our current home. As we buy a home, we enter a rite of passage, a little bit more of the American dream that we can grab onto as we turn our house into a place of rest, relaxation, and family harmony. From San Francisco to New York, Seattle to Panama City, hot new trends are popping up in the historic evolution of the American home. It's evident on every street, in every neighborhood, and in every city. Appreciating historic pieces of architecture found on the East coast is every bit as gratifying as ogling over the beautiful new construction being erected due to expansion in the West, and it is representative of how resilient we are as a country.